Normal service resumes from Callington Road onwards. Passengers who would normally board at these stops are advised to make their way to Emery Road or Callington Road. Buses from Bristol Airport to Bath are not effected and will serve all stops. For further information on how your journey may be impacted, please call 01225 330 444 or 01225 444 102. This entry was posted in Uncategorized on April 30, 2018 by Victoria. Normal service resumes from Stockwood Road junction onwards. Passengers who would normally board at the above stops are advised to make their way to Callington Road or the 36 bus stop opposite the Park and Ride entrance in Stockwood Road. For further information on how your journey may be impacted, please contact us on 01225 330 444 or 01225 444 102. This entry was posted in Uncategorized on April 24, 2018 by Victoria. 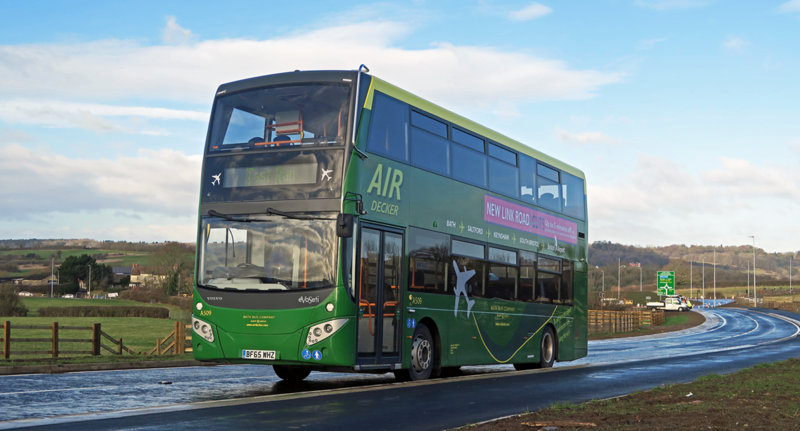 Bath to Bristol Airport (03:00, 04:00, 05:00, 20:00, 21:00 22:00 & 23:00)- normal route until Brislington Park and Ride. The service will then divert and will not serve Flowers Hill and West Town Lane Shops. Normal service will resume from Callington Road onwards. For further information on how this road closure may impact on your journey, please contact 01225 330 444 or 01225 444 102. This entry was posted in Uncategorized on April 20, 2018 by Victoria. The 15:00 departure from Bath to Bristol Airport did not operate today. All other journeys are unaffected currently. We will keep you updated and let you know when normal service resumes. Update – The 16:30 departure from Bristol Airport to Bath will not be departing from the airport. Instead the service will rejoin the route at West Town Lane. Normal service will then resume for all journeys. This entry was posted in Uncategorized on April 17, 2018 by Connor Flavell. Bath to Bristol Airport (03:00, 04:00, 05:00, 22:00 & 23:00)- normal route until Keynsham Church. The service will then divert and will not serve Keynsham Rugby Club, Keynsham Cemetery, Hicks Gate, Brislington House, Emery Road, Flowers Hill, West Town Lane Shops and Callington Road. Normal service will resume from Beechmount Road onwards. Bristol Airport to Bath (04:00, 05:00, 22:00, 23:00 & 00:00) – normal route until Beechmount Grove. The service will then divert and will not serve Callington Road, West Town Lane Shops, Flowers Hill, Emery Road, Brislington House, Hicks Gate, Keynsham Cemetery and Keynsham Rugby Club. Normal service will resume from Keynsham Church onwards. This entry was posted in Uncategorized on April 12, 2018 by Victoria. Normal service resumes from Beechmount Grove onwards. Passengers who would normally board at the above stops need to make their way to Keynsham Church or Beechmount Grove. Buses from Bristol Airport towards Bath are not effected and will serve all stops. For further information on how your journey may be impacted, please call 01225 330 444 or 01225 444102. This entry was posted in Uncategorized on April 2, 2018 by Victoria.